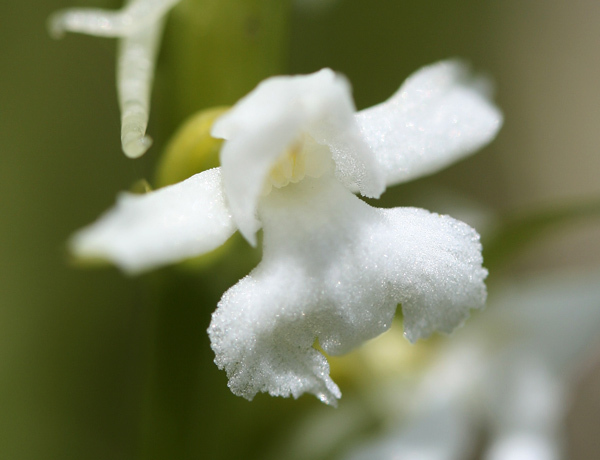 Gymnadenia conopsea (the Greek word konos means a midge) can grow to a height of 35 to 100 cm. The plant has 5 to 12 foliage leaves which are linear-lanceolate, almost gramineous. The rich inflorescence has 20 to 140 small flowers with a fine scent. They are tightly arranged in a cylindrical form and have a distinct long bract. The spur is very long and bented downwards, the lower part is filled with nectar. Petals and the middle sepal form a small hood. The lateral sepals are spreaded. 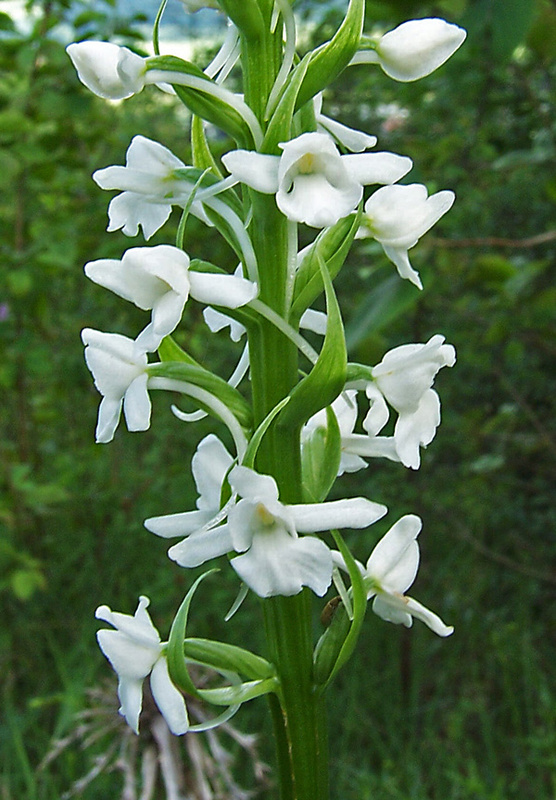 The broad and rather short labellum is three-lobed. 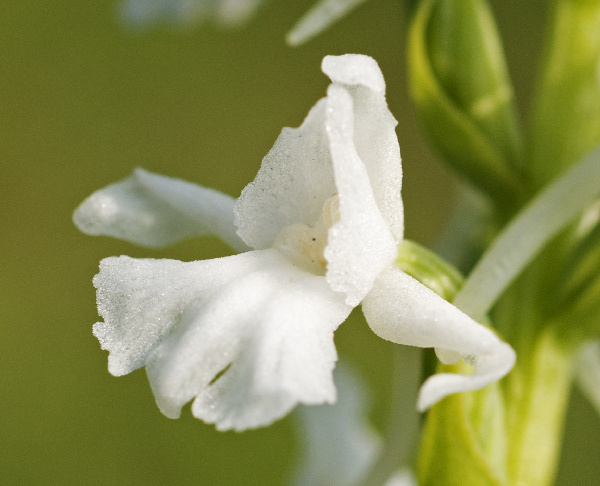 The name conopsea goes back to Linné who described this plant as Orchis conopsea in his opus Species plantarum (1753). The present name was defined by Robert Brown who separated the genus Gymnadenia from Orchis in 1813. 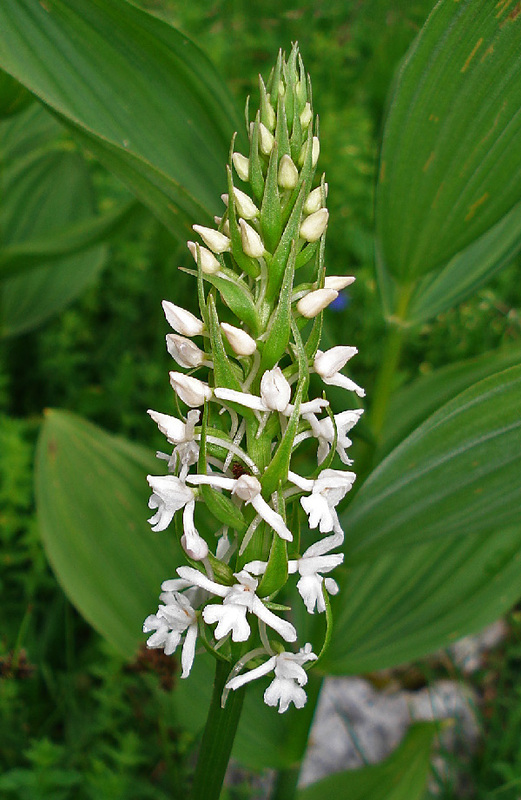 The flowers of Gymnadenia conopsea are mostly pale-purple, rose or pink. 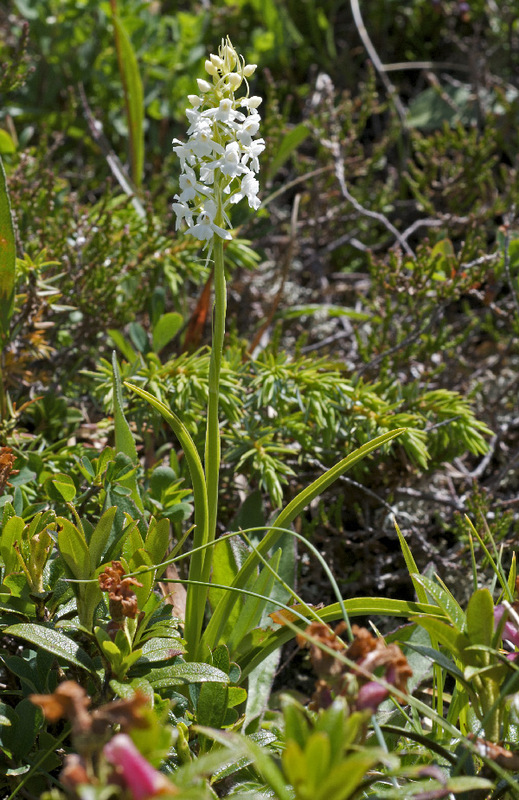 Plants with pure white flowers are rare, but may be found regularly at places with many Gymnadenia conopsea. The white forms have been described as “forma (or var.) leucantha” or as “var. flavida”. The species is nonetheless very variable. 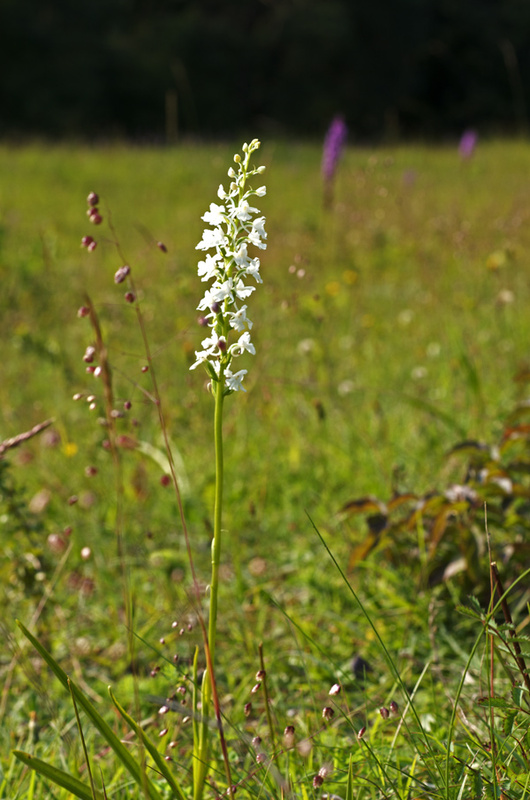 Gymnadenia conopsea can be found on grassland as well as in forests or fens in large parts of Europe and Asia, up to 2800 m. It flowers rather late, from May to August.